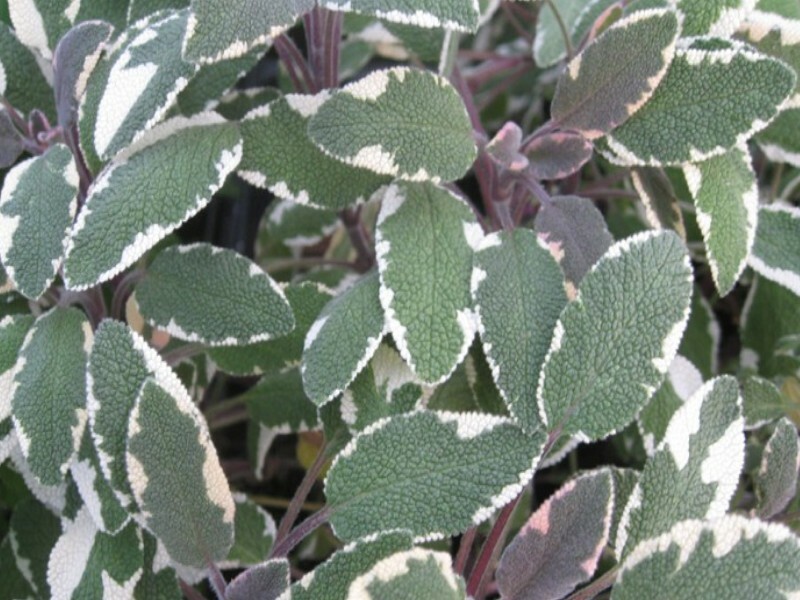 Comments: This herb has strongly aromatic leaves that are green, white, and purple edged in pink. Leaves are strongly aromatic and may be used fresh or dried in cooking although it is grown primarily for its tricolored foliage. Saage is most commonly used in cooking poultry.